Intellegentia is a B2B marketing agency with considerable direct experience of Sales and Marketing within IT and Technology sector. We've been sales people for IBM, PeopleSoft (now Oracle), Foresight, i2, Baan, and Marcam (now Infor). 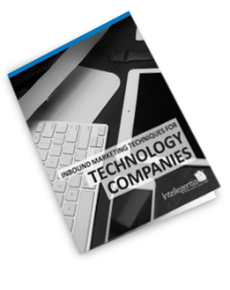 We’ve created successful marketing campaigns and account based sales strategies for technology companies including Activant, Inform, Capita, Cegid, Xsol, Bottomline, Dell-Wyse, Xtaq, Mindleaders, Enable and others. Projects have included Product Launch, Lead Generation, Demand Generation, Sales Pipeline growth, Channel Marketing, B2B Sales Strategies, B2B Marketing Strategies, B2B Content Marketing and HubSpot implementation for both sales and marketing. Whether you need a marketing campaign to launch a new product or service, a core B2B marketing communications plan, or advice on closing new business, we have the experience and the tools to help. Our aims? To help you increase your sales pipeline, improve sales conversions and grow your customer base. We have closed one deal worth in excess of 750,000 Euros and our pipeline includes other, more significant opportunities initiated with Intellegentia. Generally complex and lengthy in nature, both marketing campaigns and sales processes should be designed to meet the needs of multiple stakeholders and influencers who are involved in IT buying decisions. In most cases there are multiple buyer personas involved in the process, and content needs to address each stage in each buyer's journey - whether it's the business person looking for solutions to their business problem, the FD checking for return on investment or the IT person looking for ease of integration with existing corporate systems. Systems need to enable sales teams to recognise everyone involved in a deal and create a plan to work with all appropriate contacts. Sales and marketing alignment is key issue. In a competitive environment with high sales revenues, each lead potentially has a high value. Therefore, having a clear agreement on lead nurturing, lead handover and lead recycling processes is key. Otherwise those valuable leads can be lost. 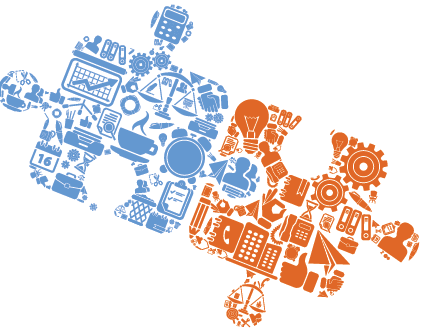 For IT services companies, the challenge very often is differentiation in a crowded market. Most companies tend to offer several service streams and focus on high levels of customer service to retain customers over long periods of time, together with referrals to boost growth. IT services companies are often aligned to major vendors such as Microsoft, Cisco, Alto Networks etc and therefore may have access to marketing development funds for business development. However, because of their size some find they don't have the right resources and expertise to take advantage. Lead Generation (particularly as companies do not change IT service providers often), customer acquisition costs and customer retention are all challenges. IT service companies really need to understand their buyers. If they are selling to smaller companies the buyer tends to lack dedicated IT resources and is looking for fast response times and solutions to business issues. In a larger company, the head of IT may be looking for an IT service provider who has a deep knowledge of their chosen infrastructure, can dovetail into their existing team and help guarantee performance levels for their users. Since referrals work so well, engaging customer speakers at technology provider funded events often work well in this marketplace. Using events as a focus for driving content marketing plans, data acquisition strategies and lead generation activity works well in IT services businesses that are short of marketing resources. For Software as a Service (SaaS) companies, the challenge is not so much about the volume of opportunities, more a question of how quickly organisations can engage & convert customers in a cost effective manner. Successful SaaS companies use a blend of inbound marketing, influencer marketing, and developer/user communities to extend their functionality and reach. Customer acquisition cost (COCA), is a key challenge for SaaS companies, unlike traditional ERP sales, the numbers don't add up if you are using sales representatives to do most of the work. The aim of Inbound marketing should be to drive leads to sales at a point where they are well qualified. Successful Inbound Marketing therefore helps companies drive down the cost per lead and increase lead conversion rates. Sales teams within SaaS companies are under pressure to qualify hard, apportioning their time wisely to get the biggest reward. Good sales and marketing alignment with tight processes for lead nurturing and recycling are key here. A further challenge for SaaS companies is to increase Customer Lifetime Value (LTV) and drive profit. Marketing can help with this through communications plans that help minimise churn and up-sell other products and services. Marketing automation with buyer-centric content plans are critical to driving the volume of low-cost sales that are needed in this sector. Channel partners typically face the combined challenge of maintaining growth in their business and meeting exacting targets from technology vendors, against a backdrop of tightening budgets and increased competition. At Intellegentia we understand what it is like to be at the sales “coal face”, we understand the complexities of the IT buying process, and know how to sell and market technology solutions. Our skills range from the nitty gritty of designing emails, websites and social media campaigns, to full on demand generation strategy and planning – including content planning & creation, lead scoring, event marketing and others. How does Inbound Marketing help to drive sales into Strategic Accounts?